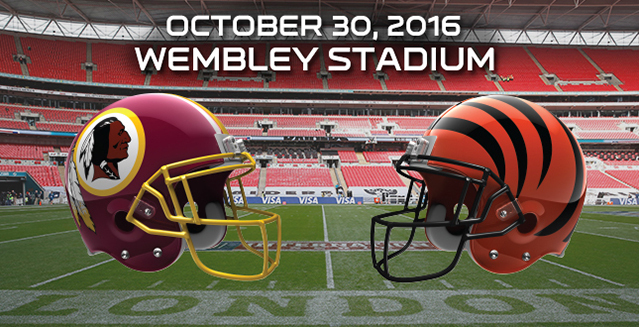 In just 10 months time, the Bengals will make the dive across the pond for their debut match in London, where they’ll face-off against the Redskins at Wembley Stadium. Now although it’s still a long time until the match, for fans wanting to travel to the English capital to see it, now is the time to plan your trip and buy tickets for the game. There is no kick-off time as of yet, but the match will take place in Week 8 of the season on Sunday October 30th, with tickets being sold on Ticketmaster from January 21st. Some travel packages will be available, and special access to tickets will be given to Bengal season holders. For those who can’t make the flights over, the match will be shown live on Fox Network affiliates. This will include WXIX-TV (Channel 19) in Cincinnati, so there will be plenty of opportunity for all fans to see the match. Many of the NFL teams have already played in London, indeed by the end of 2016 75% of all teams will have played in the UK. There are even rumors that a London NFL team may happen in the future. The UK is home to an incredibly large number of American Football fans, including Bengals fans, and these fans flock from across the UK to give incredible support for the teams making travelling to an international game a great experience. 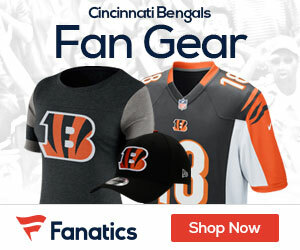 The match itself will count as a home game for the Bengals, so next season will see the team only playing seven of their regular season games at Paul Brown Stadium. It is likely that, as this is an international game, the Bengals will get a bye in week 9. Of course, one reason to be excited to visit the UK for a match is down to the phenomenon known as The Post-Wembley Wave. Statistics have shown that every team that has visited Wembley for an international match has returned home to play matches with an improved performance. None more so that the New England Patriots, who after their game against the Rams in 2012 returned home to win their next five games. A record that the Bengals can perhaps look to beat!